Gainesville, Jacksonville, Ocala, October 25, 2017 – CHW, a leading land planning, land surveyor, urban design, landscape architecture, civil engineering, transportation engineering, and construction administration services (CEI) firm, is proud to announce Donald Buaku has been promoted to the newly-formed position of Director of Urban Design at CHW. In his new position, Donald will play a critical role in managing the affairs and integration of the new Urban Design group that will be housed within the Planning + Design Department. 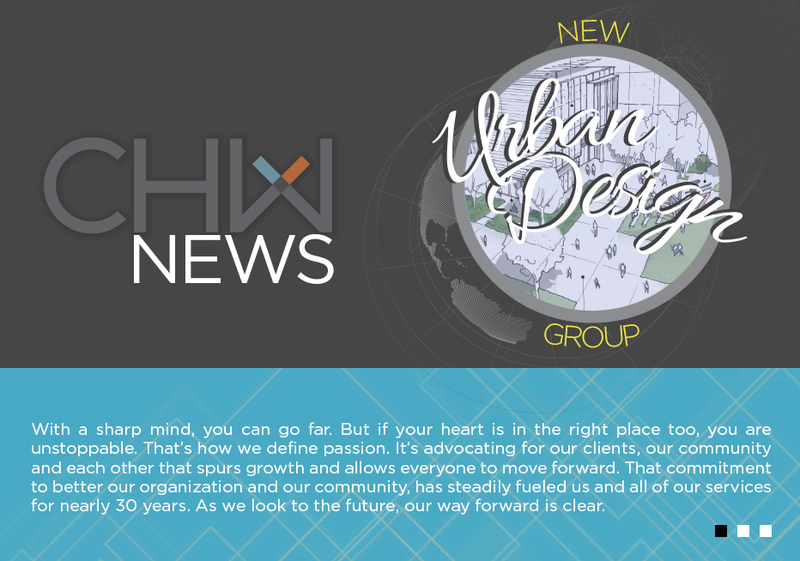 The CHW Planning + Design group will now include: Land Planning, Landscape Architecture, and Urban Design. So now you ask, what is Urban Design? Urban Design is the collaborative and multi-disciplinary process of shaping the physical environment for life in cities and towns; the art of making places; design in an urban context. Urban Design involves the integrated design of buildings, groups of buildings, spaces and landscapes, and the establishment of frameworks and processes that facilitate a successful development. Working with our Land Planning team to translate regulatory and land development code information in the due diligence process into preliminary urban design concepts and layouts, for quick decision making for our clients and for exploring possibilities. Working with our Civil Engineering and Transportation Engineering team to test concepts and design possibilities very early and throughout the design process to ensure that initial visions can be fully achieved. Working with the Landscape Architecture team to develop larger scale, holistic design concepts for commercial & institutional sites and street corridors. Creation of masterplans, vision documents, urban design guidelines, and illustrations for local governments, jurisdictions, and organizations within our community and the larger region. Urban Design as a discipline is being embraced globally for what it offers as the unification between land planning, landscape architecture, civil engineering, and landscape architecture. This addition to CHW’s professional services will provide more sustainable results and help to focus on client relationships and the positive influence our projects have on the community. Please help in congratulating Donald on his new role, and congratulations to the entire CHW Team. For more information on our Planning + Design team, check out the team site.